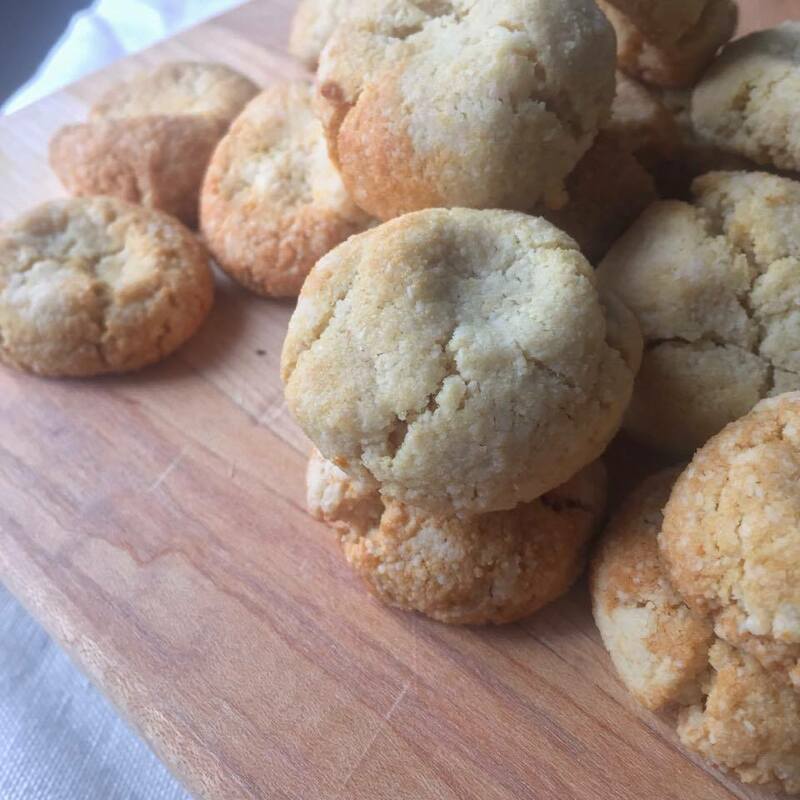 Are you ready to feel guilt free while indulging in some gluten free lemon virtually sugarless vegan cookies! That’s right these little gems have been whipped up to satisfy your sweet tooth also its not just vegan I’m confident enough to say it is Paleo approved! Personally, I am not knowledge in the paleo diet but my mother, and my sister in law (Hi Christina!) are both paleo enthusiasts and it has passed the taste test that is my husband (whom is very vocal when he dislikes my creations!). His favourite recipe of mine is the Chunky and Chewy Peanut Butter Cookies! 2017 is decided to be the year of everything amazing and tasty. Also, my first post was not suppose to be these gluten free cookies but a post where I show you what is essential to spear head your way into an amazing productive and clean vegan 2017! Guess what, I’m still writing this guide I even think I’ll have to break it into two parts. I did not realize I had so much to say about these products and well my whole philosophy on life…So I am going to apologize a head of time folks, for my inevitable manifesto on life. Because I didn’t realize I would do that but I’m just in to deep in writing the post. OK back to the COOKIES! This recipe only needs 8 gluten free ingredients. Two of them are from the same thing so its technically only 7 ingredients. You will need coconut oil, melted. Your only source of sugar is MAPLE. You will need very little of it approximately 1/3 of a cup. You will need to zest a whole lemon, its around 1 ½ teaspoons of zest. The juice an one whole lemon (see one item two uses). 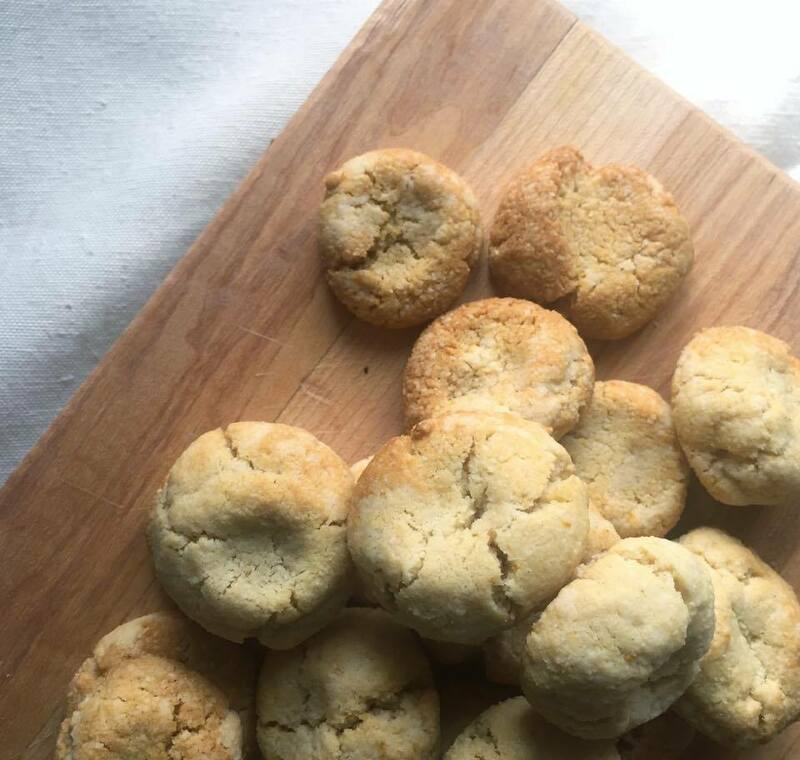 Then you will need about 1 ¼ cups of almond flour because this is a gluten free recipe (yay) (if you don’t have you can blend in a food processor or high speed blender whole almonds until pulverized into powder). You’ll also need 2 tablespoons of coconut flour ½ teaspoon of baking soda and finally a dash of salt. The only problem I encountered is the dough looks more like batter the cookie dough. To solve this issue you will have to let the dough sit in cool place (or just simply place it in the refrigerator) for around 15 -30 minutes. Once you see its firm take a small spoon and scoop out the mixture rolling little balls in you palms and place on a baking sheet. Bake for about 12-15 minutes. I managed to make over 30 cookies but I made mine fairly small. 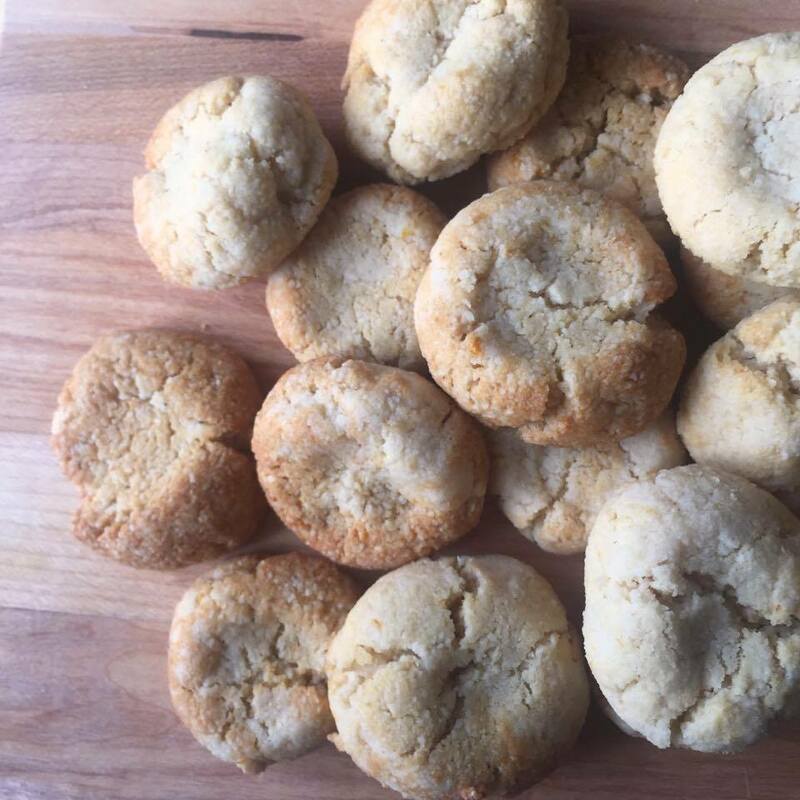 See the recipe card below for a more visually appealing direction to these Gluten Free Vegan & Paleo Lemon drop cookies and please follow me on social media and comment below if you like this recipe, if you would change it or if there’s something else out there you find is similar and want me to check out! I really need to try this instead of you making them for me.